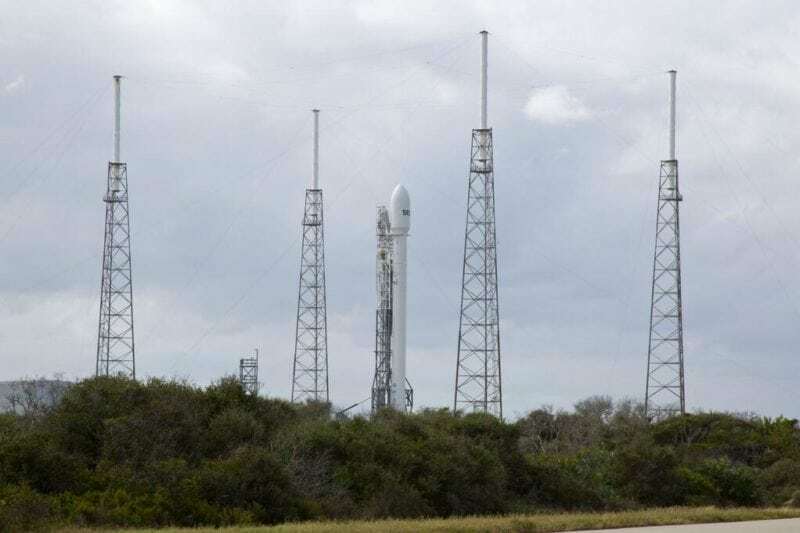 [Via Satellite 11-26-13] After stopping the countdown clock three times, SpaceX had to scrub its first attempt at launching SES’ SES 8 satellite – its first time launching a commercial satellite to geosynchronous orbit. The excitement that had built up prior to the launch quickly turned into disappointment. “At least we still have a satellite,” Martin Halliwell, CTO of SES, said referring to the good health of the satellite and the possibility of a second launch attempt. The first halt of the countdown occurred around T-13 minutes due to a first stage valve issue. After the clock was restarted, a second hold of the clock occurred about T-6 minutes due to a telemetry issue. There was a lot of speculation both online and at the launch viewing site as the information from the webcast narrator was not very clear. Finally, the clock was recycled to around T-18 minutes with a new T-0 at 6:30 p.m. EST. But just at T-00:03:40, the team “observed unexpected readings with the first stage liquid oxygen system so we decided to investigate,” according to a SpaceX statement. However, the team’s investigation of this issue ran past the launch window closing time at 6:42 p.m. EST, thus the launch had to be postponed. During a media briefing on Sunday, Elon Musk, CEO and CTO of SpaceX, stressed the importance of this particular launch both for his company and for the global launch industry. Knowing this, the SpaceX team is being extremely careful every step of the way. “It’s just taking a long time because they’re doing it very carefully, they don’t want to make any mistakes or damage,” Halliwell said before the launch. “Saw pressure fluctuations on Falcon boost stage liquid oxygen tank. 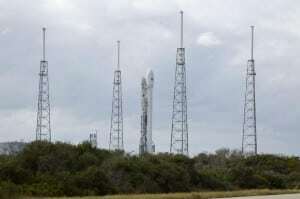 Want to be super careful, so pushing launch to Thurs,” Musk tweeted. The new launch window is scheduled for Nov. 28 at 5:38pm EST, according to SpaceX, which falls on the Thanksgiving holiday in the United States. The eyes of the world were at Cape Canaveral for this historic launch and what it could mean for the satellite industry. However, this type of delay is not uncommon for the industry. Sometimes technical issues or weather conditions can force the postponement of a launch. “The launch vehicle and satellite are in great shape and we are looking forward to the next launch opportunity,” SpaceX said in a statement. The SES 8 satellite, manufactured by Orbital Sciences, will serve the Southeast Asian market with additional capacity for DTH services as it will be co-located with the NSS 6 satellite at 95 degrees east. The satellite’s capacity is “substantially pre-committed,” according to Deepak Mathur, SVP, commercial, Asia Pacific and the Middle East.